The 2015 SEIB Search for a Star series continues on the 10th May at Houghton Hall Equestrian & Alpaca Centre in Cambridgeshire. 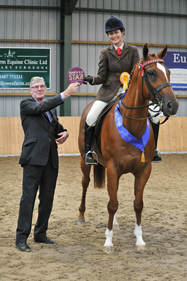 SEIB Search for a Star was created in the 1990’s by leading insurance company, SEIB Insurance Brokers and provides the opportunity for amateur riders to qualify for the Search for a Star finals at Horse of the Year Show (HOYS) each year. Over this time, Search for a Star has become the pinnacle of ambition for many amateur riders and provided numerous success stories. Several horses and riders that have been successful in Search for a Star have gone on to compete in open classes with great success. The SEIB Insurance Brokers Search for a Star series takes place at five qualifying shows over the spring and summer throughout the country for the all-important HOYS final. 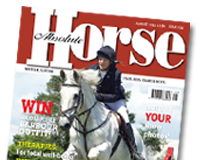 Each qualifier follows the same format, with classes for Working Hunter, Riding Club Show Horse, Show Hunter, Show and Show Hunter Ponies, Riding Horse and Hacks and Cob classes. Search for a Star judges include the very experienced Richard Ramsay and David Bartram who will be joined by David Ingle and Chris Lawton for the 2015 season. The Search for a Star judges are frequently on hand to answer any questions after each qualifying class. Competitors often find that, having listened to the advice given after the class and worked hard before their next show, they come back to a subsequent qualifier and their performance is much improved. Leading equine insurers, SEIB Insurance Brokers provide cover for horses, horse boxes, yards and much more. “The Search for a Star Championship series is a way to give amateur riders the chance to achieve their dream of riding at The Horse of the Year Show. The standard increases every year and we are delighted to give so many riders this opportunity”, said Nicolina MacKenzie, Marketing Manager at SEIB Insurance Brokers. Photograph: Rebecca Clark from Fakenham qualifying for HOYS in Search for a Star 2014 at Houghton Hall. SMR Photos.